Parking Mania Level 63, 64 All Coins Walkthrough, Cheats, Solution for Android, iPhone, iPad, iPod. Note: This is "Parking Mania" by "CHILLINGO"
Parking Mania Level 62 All Coins Walkthrough, Cheats, Solution for Android, iPhone, iPad, iPod. Parking Mania Level 61 All Coins Walkthrough, Cheats, Solution for Android, iPhone, iPad, iPod. Parking Mania Level 59, 60 All Coins Walkthrough, Cheats, Solution for Android, iPhone, iPad, iPod. Parking Mania Level 57, 58 All Coins Walkthrough, Cheats, Solution for Android, iPhone, iPad, iPod. Parking Mania Level 56 All Coins Walkthrough, Cheats, Solution for Android, iPhone, iPad, iPod. Parking Mania Level 54, 55 All Coins Walkthrough, Cheats, Solution for Android, iPhone, iPad, iPod. Parking Mania Level 51, 52, 53 All Coins Walkthrough, Cheats, Solution for Android, iPhone, iPad, iPod. Parking Mania Level 48, 49, 50 All Coins Walkthrough, Cheats, Solution for Android, iPhone, iPad, iPod. Parking Mania Level 45, 46, 47 All Coins Walkthrough, Cheats, Solution for Android, iPhone, iPad, iPod. Parking Mania Level 41, 42, 43, 44 All Coins Walkthrough, Cheats, Solution for Android, iPhone, iPad, iPod. Parking Mania Level 38, 39, 40 All Coins Walkthrough, Cheats, Solution for Android, iPhone, iPad, iPod. Parking Mania Level 36, 37 All Coins Walkthrough, Cheats, Solution for Android, iPhone, iPad, iPod. Parking Mania Level 32, 33, 34, 35 All Coins Walkthrough, Cheats, Solution for Android, iPhone, iPad, iPod. Parking Mania Level 28, 29, 30, 31 All Coins Walkthrough, Cheats, Solution for Android, iPhone, iPad, iPod. Parking Mania Level 20, 21, 22, 23, 24, 25, 26, 27 All Coins Walkthrough, Cheats, Solution for Android, iPhone, iPad, iPod. Parking Mania Level 1, 2, 3, 4, 5, 6, 7, 8, 9, 10, 11, 12, 13, 14, 15, 16, 17, 18, 19 All Coins Walkthrough, Cheats, Solution for Android, iPhone, iPad, iPod. Parking Mania by CHILLINGO walkthrough for all levels. Whether you’re behind the wheel of a flash sports car or a cumbersome big-rig, Parking Mania captures that great, ‘easy to learn, hard to master’ gameplay. If you can't beat a level in Parking Mania you found the right page. 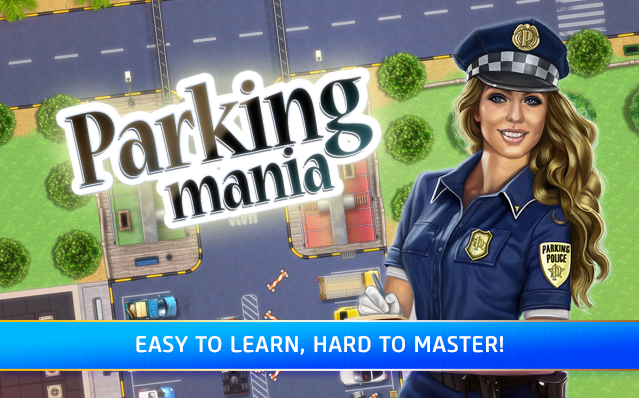 Below you can find video walkthroughs for all levels in Parking Mania for android or ios. Just tap the level you can't solve to see the solution. Adventure Escape Cult Mystery Cheats, Solution, Walkthrough for Android, iPhone, iPad, iPod. Note: This is "Adventure Escape Cult Mystery" by "Haiku Games"